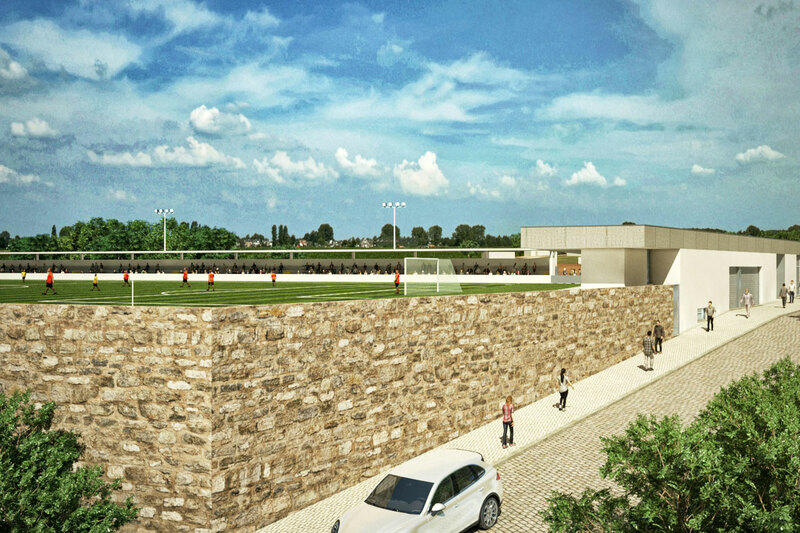 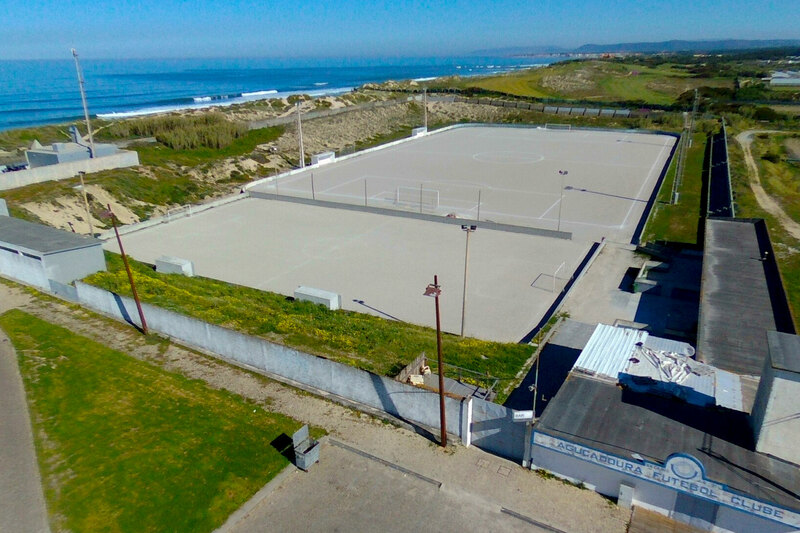 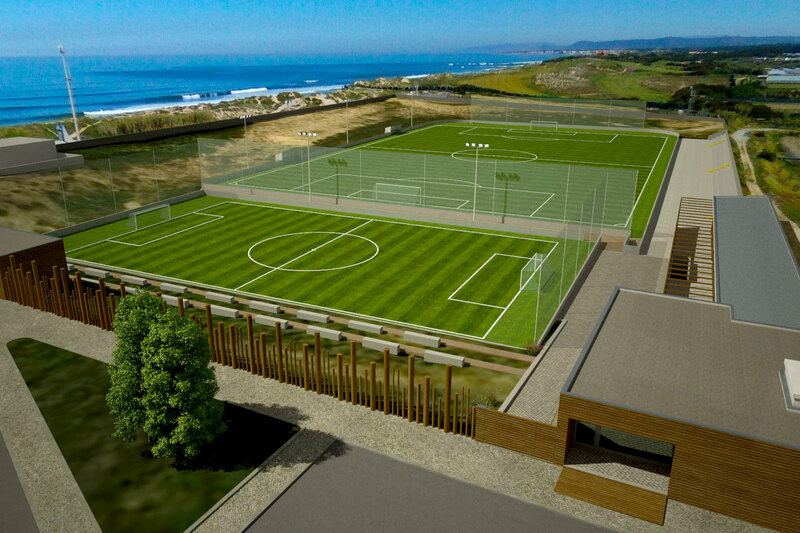 Refurbishment of the Aguçadoura Football field, which includes the construction of a new roof for the seat/soccer stadium, the construction of a tunnel to connect to the field, pavements, fences and the remodeling of the bar building. 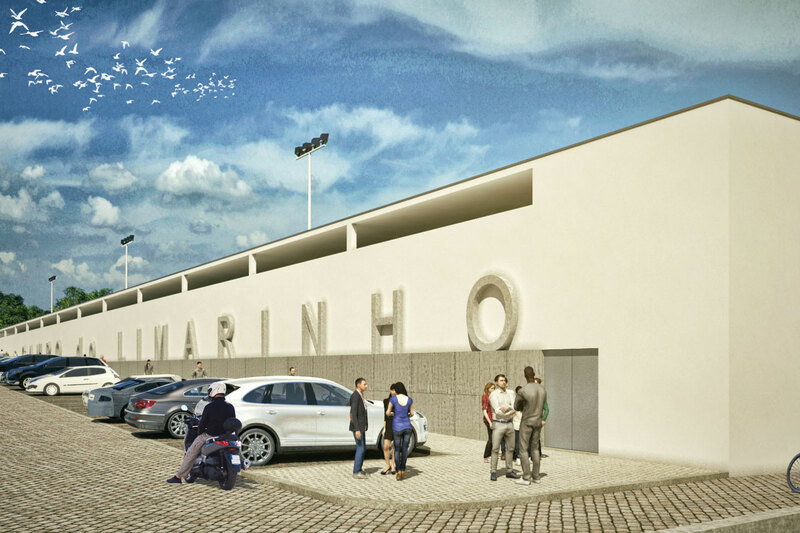 The bench has a capacity for 750 seats. 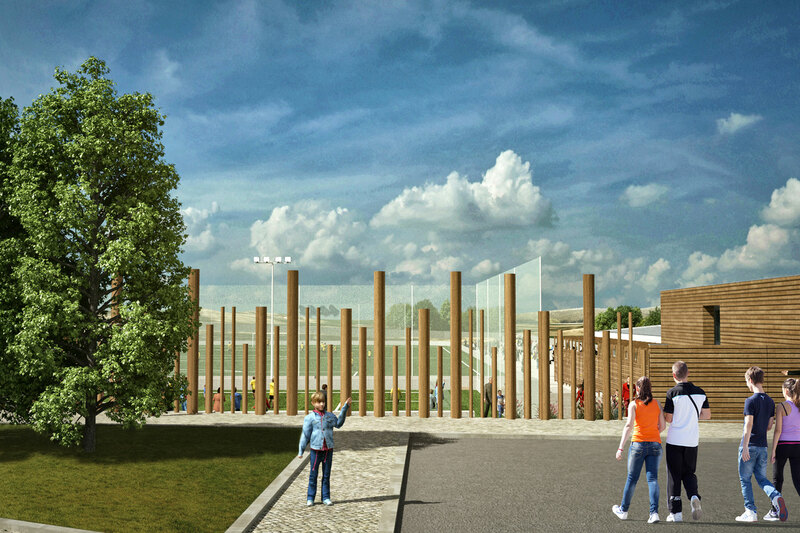 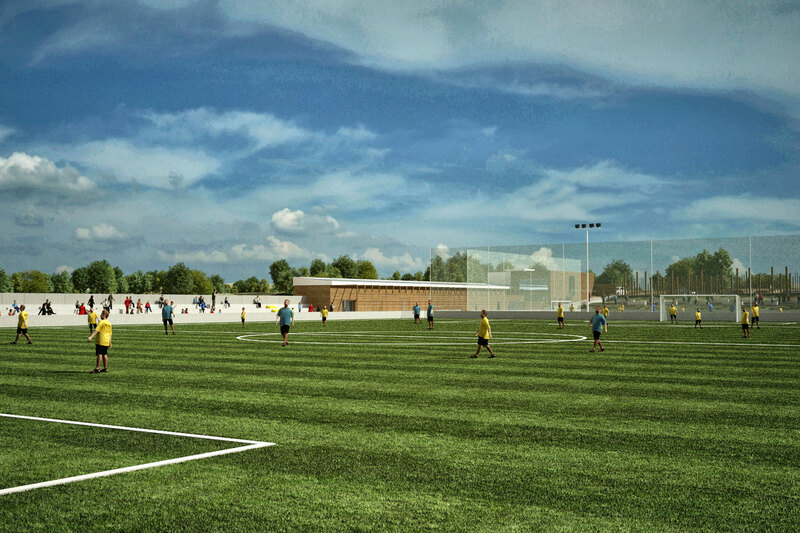 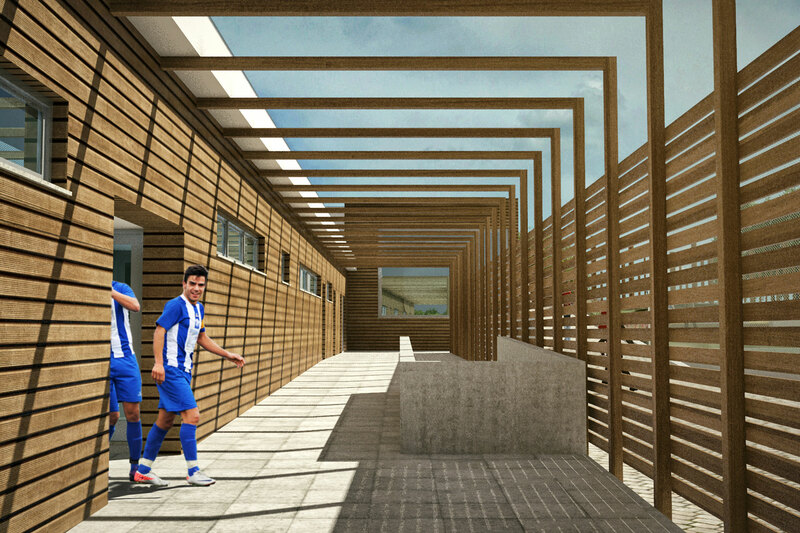 Refurbishment and expansion of the Footbal Rates field, which includes the construction of a new bench with a capacity of 1000 seats, the construction of a new support building with an area of approximately 800 m², which includes the changing rooms, club headquarters , support bar, medical office and technical areas and the construction of a surrounding street.